Access the UI Gallery to view and copy samples that demonstrate how to run a flow in a modal dialog, refresh a section, use click actions, and use keyboard events to pass report definition parameters that filter a Grid, among others. 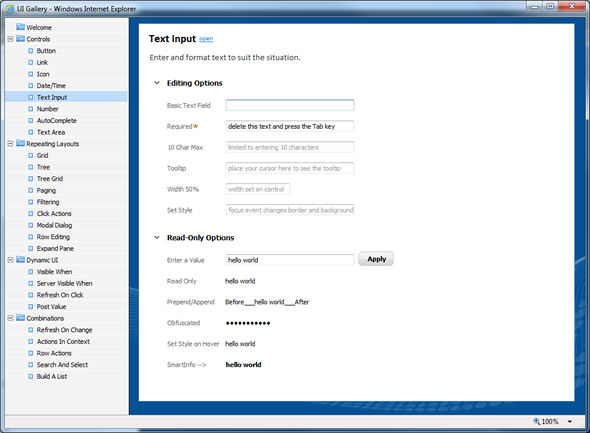 Enable extension of the UI Gallery and add your own samples to your application; see How to add samples to the UI Gallery. Updated to use Placeholder text and demonstrate client-side validation. 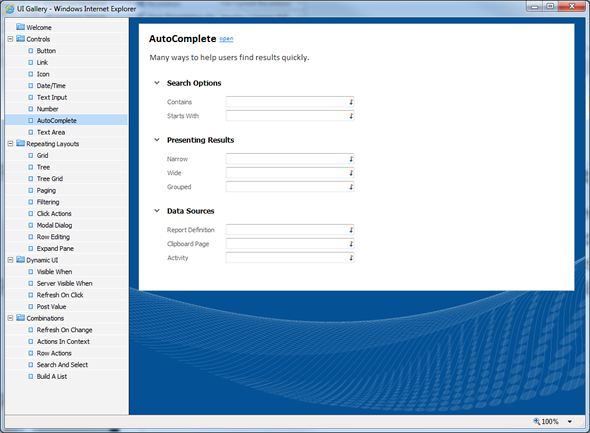 New sample demonstrates SP2 enhancements and a variety of configuration options. Example of Progressive Paging added to the Paging sample. 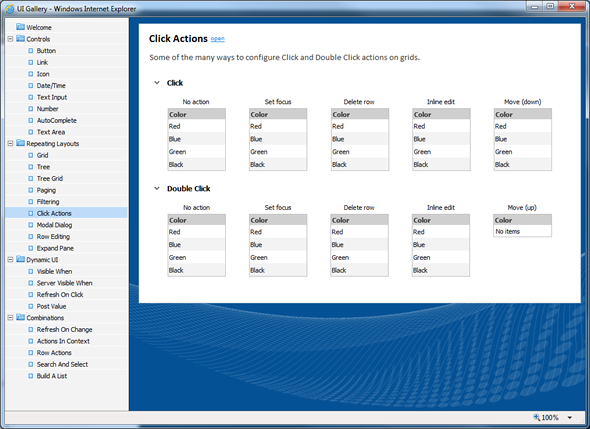 New sample demonstrating various ways to configure Click Actions in Grids. 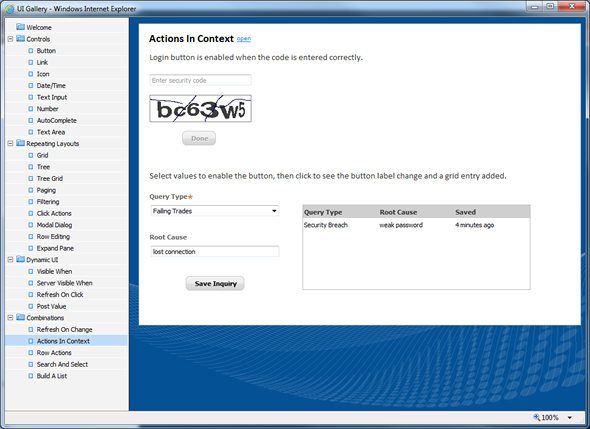 New sample using Keyboard events, Section refresh, and Data Transforms to make the UI contextual. New sample using Keyboard events to pass RD parameters that filter a Grid. 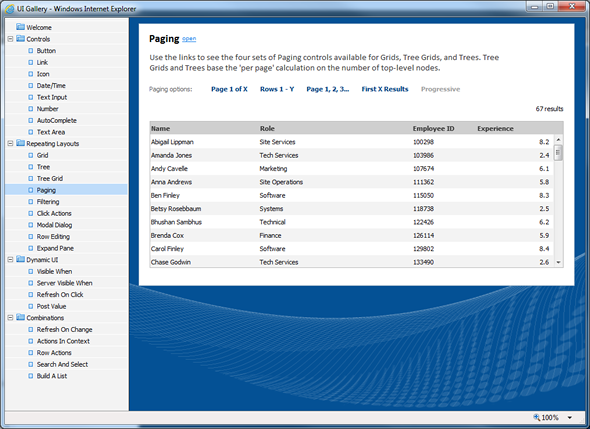 Also uses Progressive Paging and has a row Click action to enable the button. 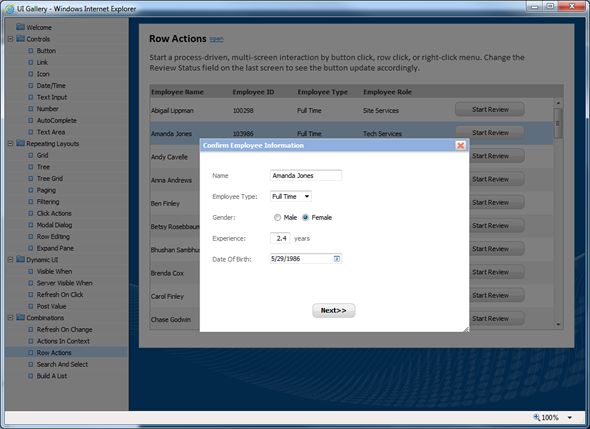 New sample with Run Flow In Modal available by clicking a row, right-click, and a button. 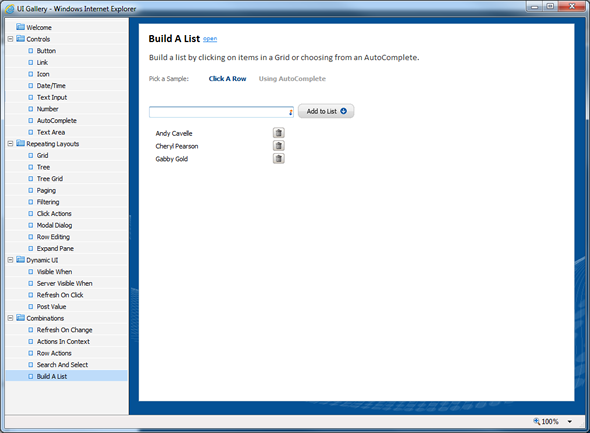 New sample that uses AutoComplete and a Grid to “multi-select” from a list.